On Wednesday night, the Toronto Raptors will travel to Oklahoma City to take on Russell Westbrook and the Thunder at 6:30 PM PST / 9:30 PM EST. This is surprisingly the first time these two teams have met this year even though we are coming up on the final stretch of the regular season. They'll have their second and final battle a mere three days later on Friday, March 22nd. The Thunder and Raptors have fielded two competent squads in their respective conferences. Toronto has such a deep team that they've been able to keep their head above water at the top of the East despite resting Kawhi for about a quarter of the season. 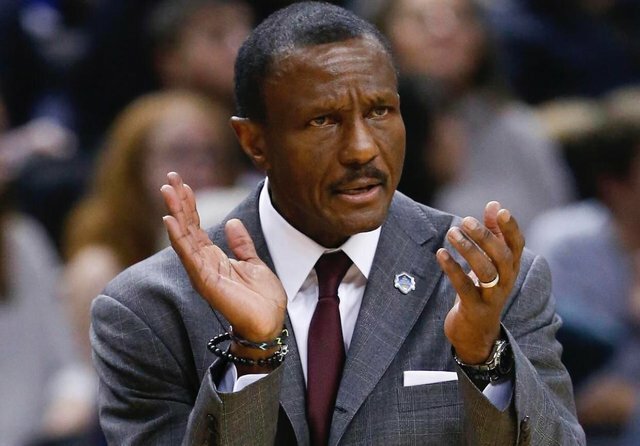 New head coach Nick Nurse has done a great job of picking up where Dwane Casey left off with last year's regular season beast of a team. The collective North is crossing their fingers that their new additions in Kawhi and Nurse can bring them to heights previously unseen. 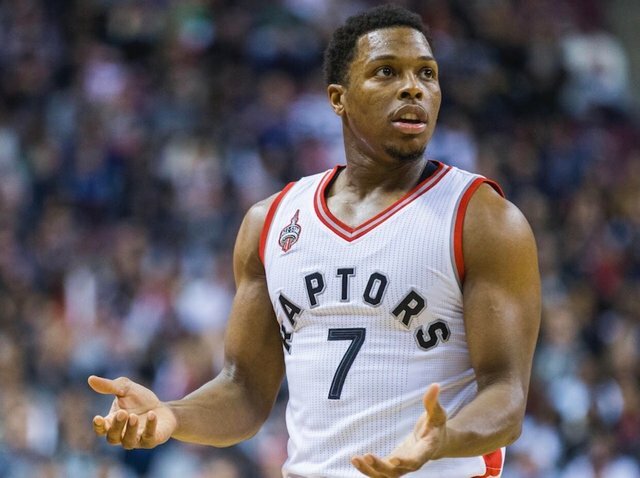 Kyle Lowry, Pascal Siakam, Serge Ibaka, and OG Anunoby all provide a mix of either steady veteran leadership or the spark of a young, hungry player who is just discovering their NBA groove. Not to mention, their trade deadline acquisition of Marc Gasol has given them a whole new ball movement threat off the bench. Their unwavering desire and efficient ways on both ends of the floor (2nd in defensive rating, 6th in offensive rating) have been good enough for the second-best record in the East (50-21, 2.5 games behind the Bucks). The Thunder, on the other hand, find themselves battling for playoff positioning in the West at 6th place with a record of 42-29. They've looked quite lethal at spots, but are currently in the midst of a downtrend with a 4-6 record in their last ten. They aren't really in danger of falling out of the playoffs entirely (since the 9th seeded Sacramento are a whopping six games back of the eigth seed), but it's in their best interest to come out swinging for every game to maintain home court advantage in the postseason's earlier rounds. Plus, you don't want to fall to the eighth seed and face Golden State in round 1. If the playoffs started today, they'd take on the third-seeded Rockets in a guaranteed thriller of a series. Paul George looked like the best player on the floor in almost every game when they were winning at a scorching clip, but his production has dipped since playing through a sore right shoulder. 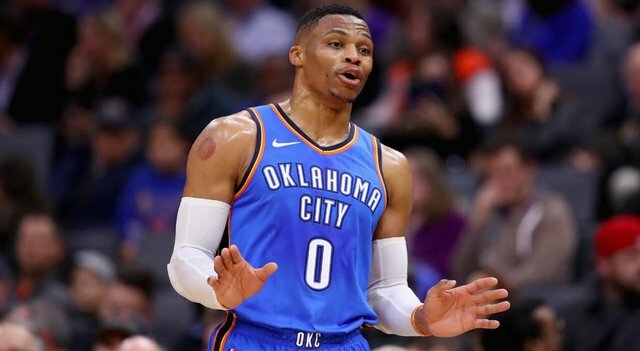 His scoring is down a bit from his MVP-level averages, (25.9 pts, 37.8 FG%, 33.3 FG3% in his last ten compared to 28.3 pts, 44 FG%, 39 FG3% on the year), but Russell Westbrook has willingly answered the call. Russ has somewhat fought through an early-season shooting slump (25.9 pts, 44.8 FG%, 34.8 FG3% in his last ten compared to 22.9 pts, 42.7 FG%, 28.2 FG3% on the year) to pick up the bit of slack let loose by Paul George's injury - it just hasn't translated to consistent winning yet (previously mentioned 4-6 in their last ten). If the regular season has taught us anything, it's that the Thunder play better when Paul George leads the charge like the MVP threat that he is. In the night leading up to the primetime face-off, reports began surfacing that stars might sit this one out. Lowry is regarded as questionable thanks to an ankle injury, and Kawhi is always a threat to sit out because the Raptors will do anything to appease him in the leadup to his free agency decision. Keep in mind that he rested on Monday for "load management", so he may actually suit up for Wednesday's event. If Leonard isn't good to go, look out for a hot wing showdown between Paul George and Pascal Siakam. If Lowry sits out, Russell might have an open lane to run wild in this contest. He's coming off a suspension after racking up his sixteenth technical foul, so he may come out feisty, ready to make some noise. I think the Thunder will get back on track after dropping their last three in a row, and come up big against a semi-underhanded Raptors squad, 110-107. 7 days later, it still shocks me, great match!